Customers are critical to success. These stats from industry leading, customer-centric organizations emphasize the importance of the customer experience in today’s connected economy. 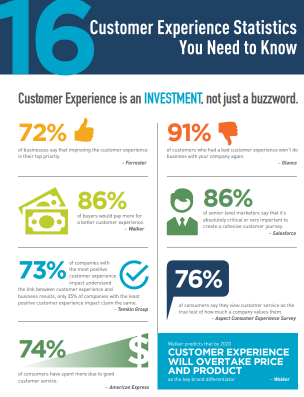 For more information on Eckerd’s Customer Experience Training, contact us at (800) 753-0444 or ldi@eckerd.edu.